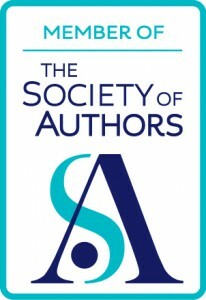 Because I will be working with Annette Crossland of A for Authors literary agency, who will be handling the subsidiary and foreign rights for my books. This is new territory for me, but I’m absolutely delighted to have the experience and enthusiasm of Annette and her business partner, Bill Goodall, to deal with everything overseas plus the non print and non ebook versions here in the UK. 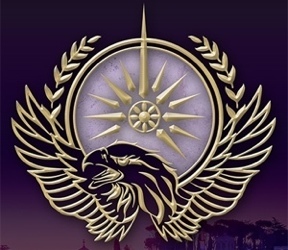 The Roma Nova series is gathering reviews, fans and love every day and needs to go out to large audiences. UPDATE: Here’s my beautifully formatted page on A for Authors’ website. That was quick! This is excellent news Alison and so well deserved.Congratulations! Thank you, Rachel. Look out, world, here we come! Jumping up and down with excitement for you, Alison! Immensely well-deserved. 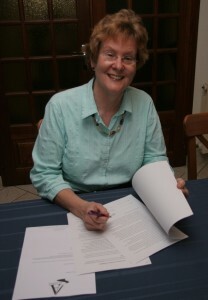 Helen, I’m sure I wouldn’t have come this far without the 100% support of you and the SilverWood Books team (www.silverwoodbooks.co.uk). The superbly produced paperback and ebooks have attracted comments and praise everywhere and shown just high the standards can be for published work. Not only that, you always promote your authors and find opportunities for them to shine and to advance their careers. Huge Congratulations! Onwards and Skywards! Wonderful news, Alison – and I take it that Annette and Bill are now wearing your lovely Roma Nova badges! So now I’m looking forward to when the feature film comes out 😉 I’ve always said your books would make great films! 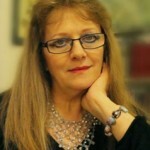 Well, Annette and Bill are coming along to the SUCCESSIO London launch and will be issued with badges! Thank you, Jane. A heady moment. Thank you, Mick. The beginning of my new identity as a hybrid author! 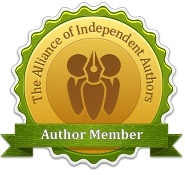 Thrilled you have become an A for Authors author! Look forward to seeing you in France, and to following your continued success. Thank you, Georgina. A new step for me and a path I’m really looking forward to running along. Thanks, Denise! Yes, quite stunning. I’m really looking forward to working with them.